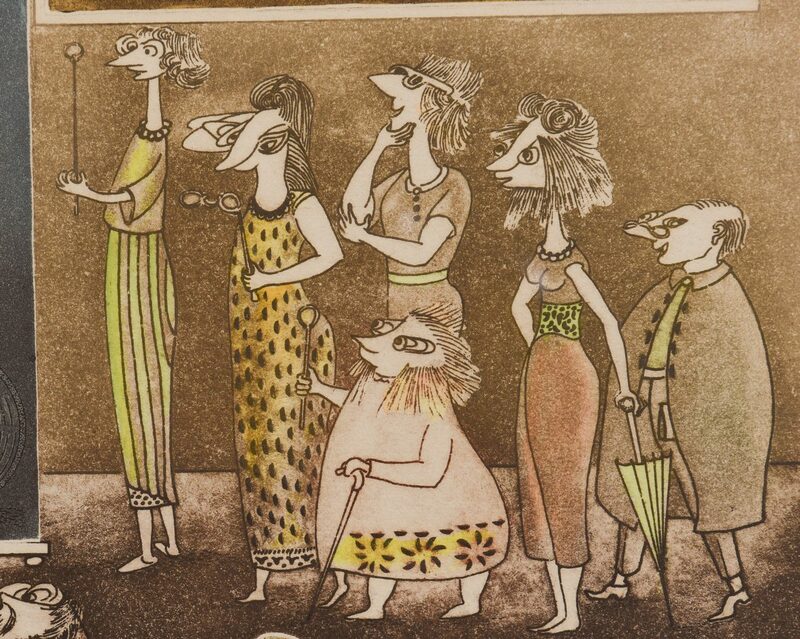 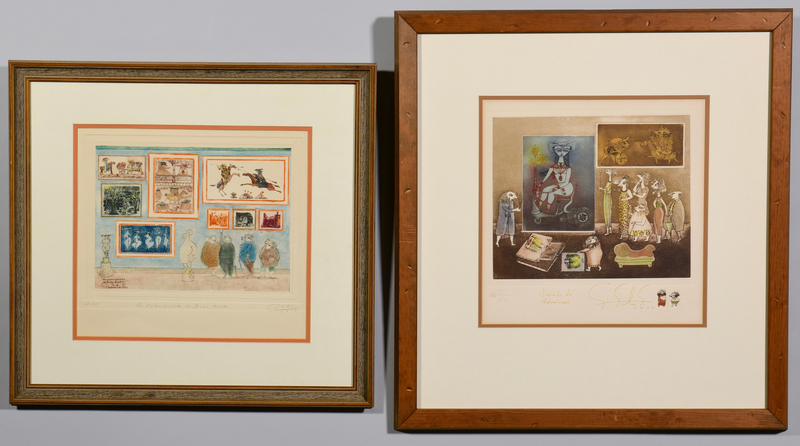 Two Guillermo Silva Santamaria (Columbia, 1921-2007) hand colored etchings. 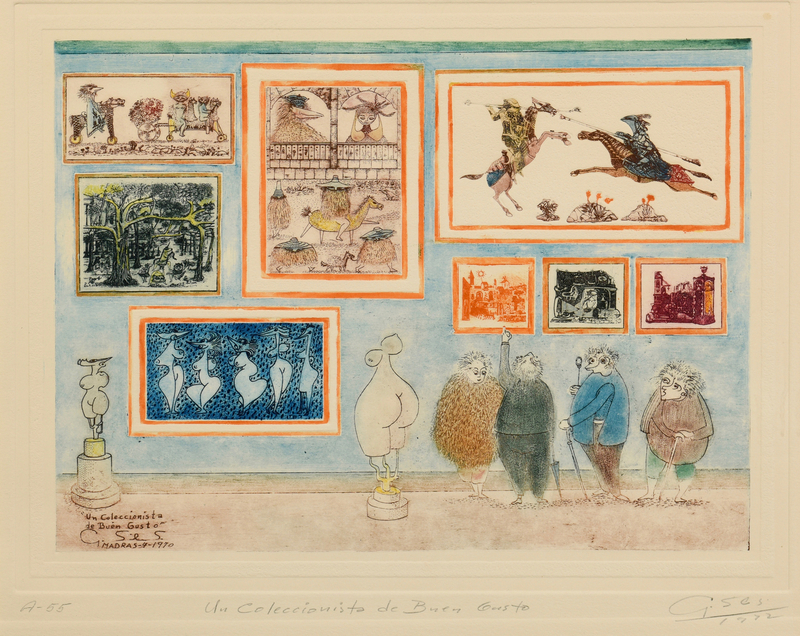 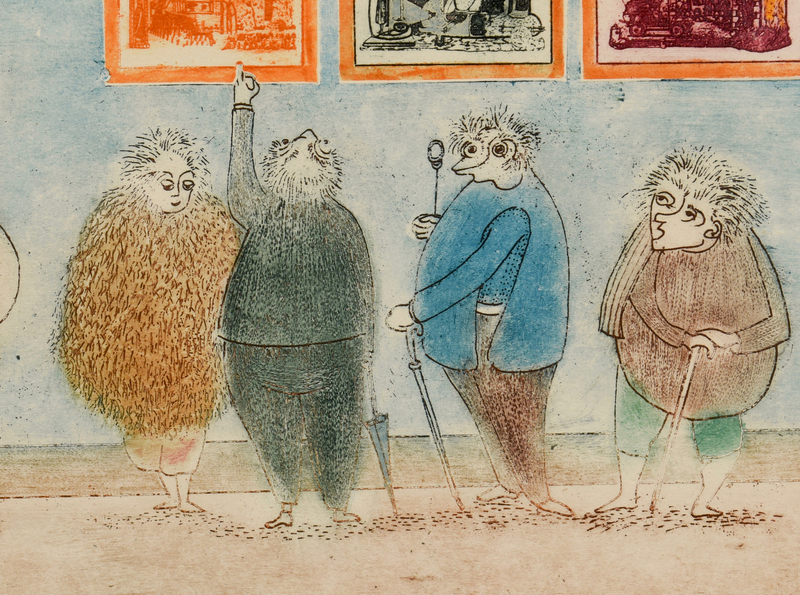 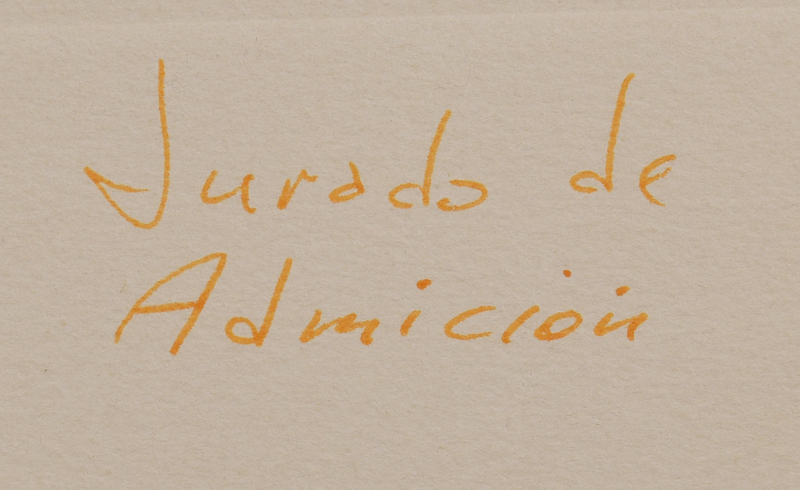 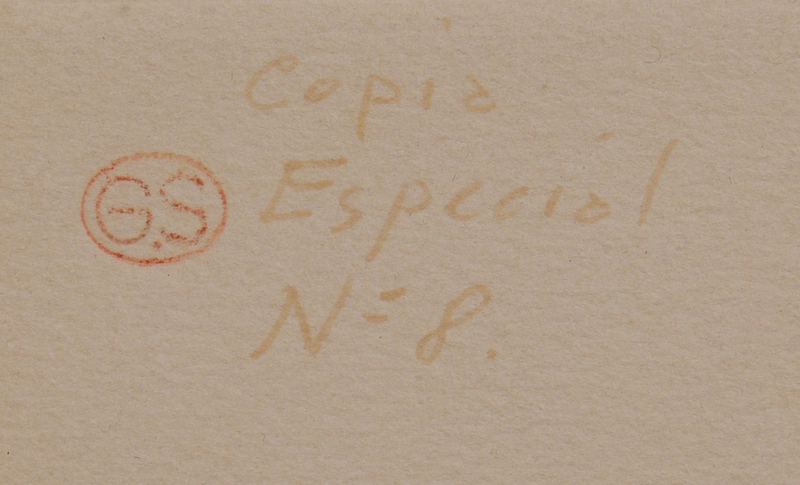 1st item: Etching titled in pen “Juardo de Admicion”, signed lower right and dated 1976 and numbered Copia Especiol No. 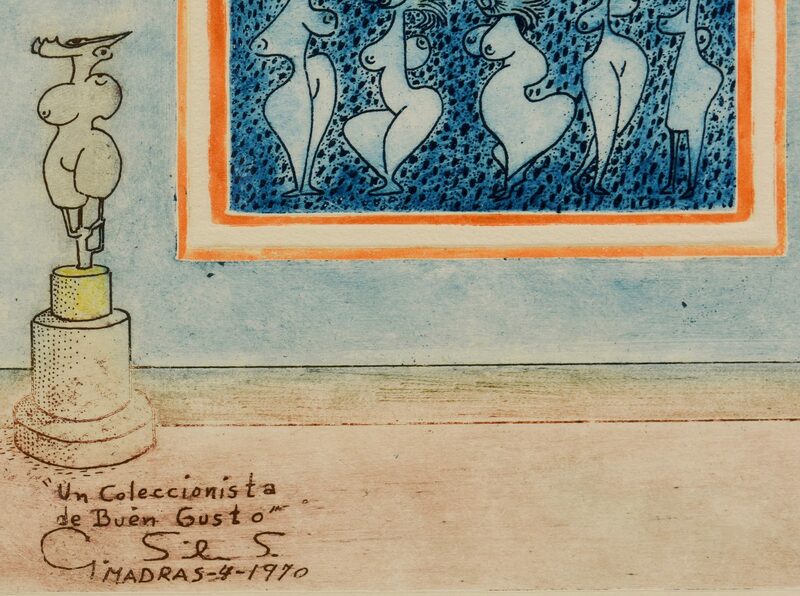 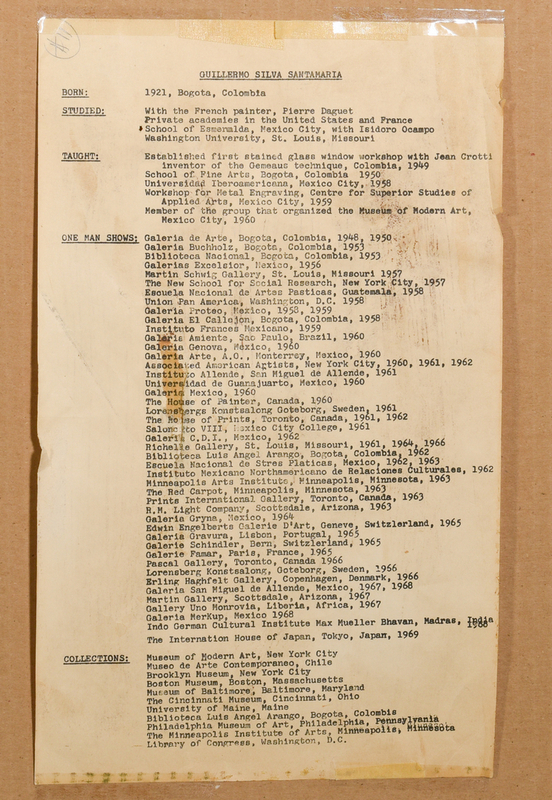 8″ lower left with remarque designs in the borders. 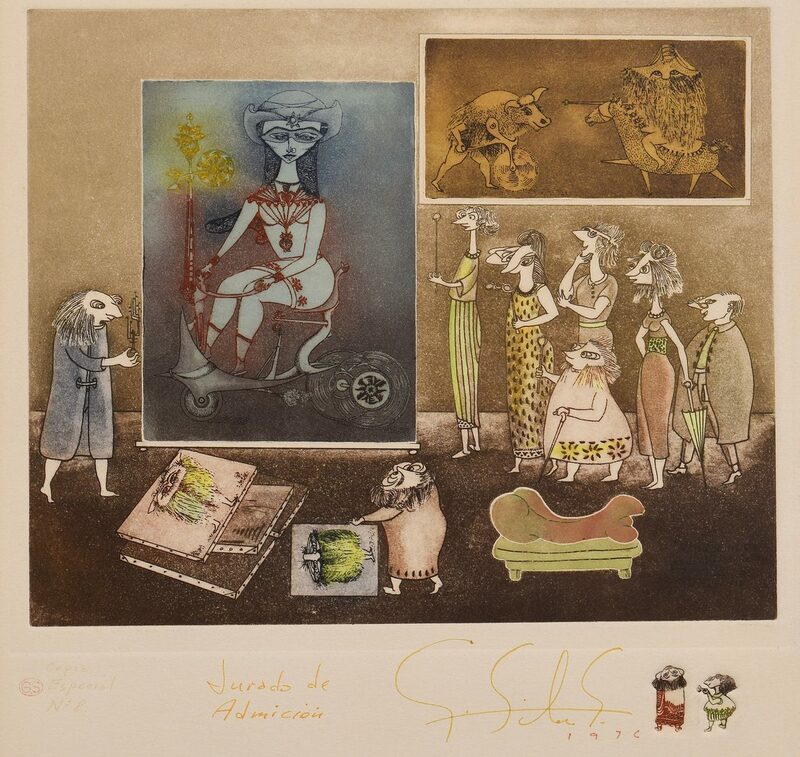 Plate – 12″ H x 14 1/4″ W. Sight – 15 1/4″ H x 15 1/8″ W. Framed – 28 1/2″ H x 26 7/8″ W. 2nd item: Etching titled “Un Coleccionista de Buen Gusto” pencil signed and dated 1972 lower right, numbered A-55 lower left and signed, titled and dated in the plate. 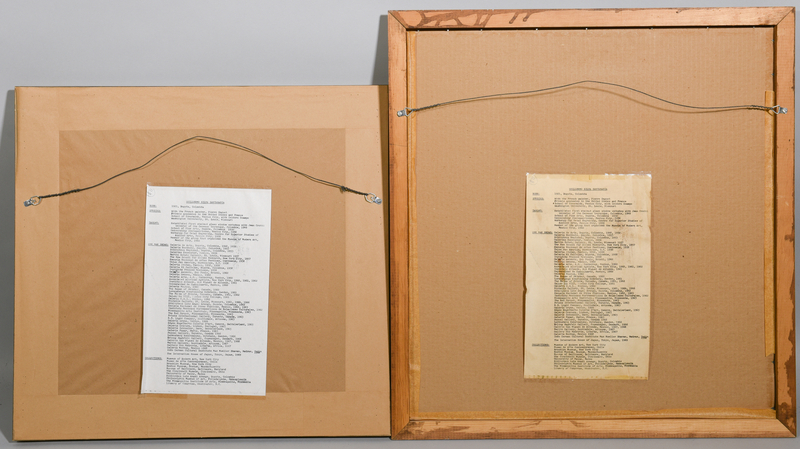 Plate – 11 1/4″ H x 15″ W. Sight – 14 1/4″ H x 15 7/8″ W. Framed – 23 3/4″ H x 25 1/2″ W. CONDITION: Both overall very good condition.